This form of warehouse organization makes the most sense when you are storing goods with limited storage life or have to control batches in your production. 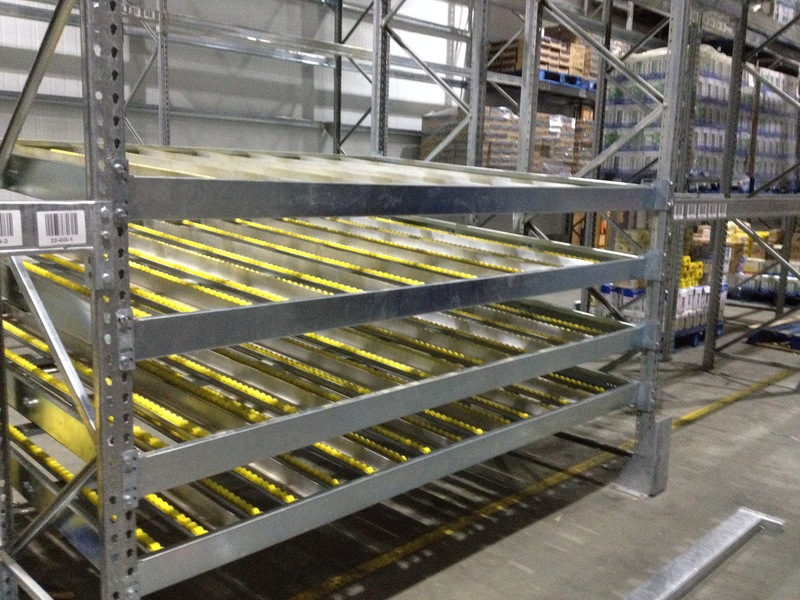 This is because the pallets that are stored first are also retrieved first (FIFO). Also, pallet live storage plays an important role in buffering goods at goods-in or dispatch. It’s common to operate them with counterbalance or reach trucks; at the lowest level even with pallet jacks. Live storage works by means of gravity alone and usually comes without electrical components. It is easy to integrate it into a fully automated material flow, which makes them a viable alternative for fully automated warehouses.